The NBS is delighted to have received a grant of £2000 from the BSB. This has helped purchase a good quality and highly functional Jelly Spray Gun, complete with holding tank and temperature control. The Jelly Spray Gun will be used by the confectionery department to enhance the confectionery skills of undergraduate and post graduate students, as well as those of industrial practitioners through professional development programmes. Overall the grant will assist the NBS in providing training to students which ensures future employees in the baking and hospitality industries have the skills required, and that students have the opportunity to reach their full learning potential and can demonstrate their skills in a production environment. 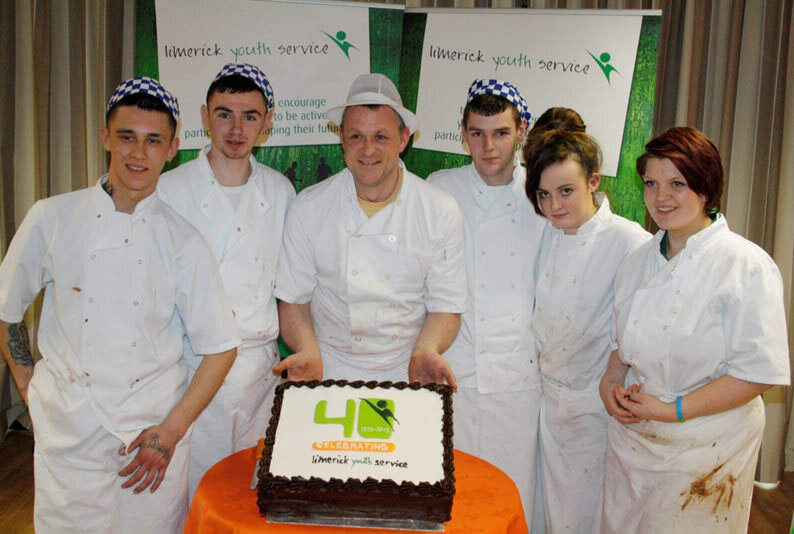 I am Paul O’Brien, Bakery Tutor in the Community Training Centre within the Limerick Youth Service. We were very honoured to be included in the British Society of Baking college funding applications and I would like to take this opportunity to thank Sarah Autton and the BSB Executive Committee for their generous grant of £2000, which was used for the purchase of a pastry roller. This piece of equipment will enhance the skill level of our Bakery Learners as we prepare them for employment in the bakery craft and industry sector. From its humble beginnings the Limerick Youth Service has always had a strong relationship with bakery and bakery products. In 1973 volunteers brought homemade cakes and breads to the drop-in youth café. This lead to an exchange of skills between the home bakers and the young people using the centre. I would like to thank the British Society of Baking for their generous grant. In 1987 the Resource Centre was opened, which included a fully functioning bakery. Learners work and train in this bakery from 7.00am to 3pm Monday to Friday. They produce a range of yeasted bread products and sodas, and a range of confectionery. The products produced in the bakery are sold on site and delivered to city shops and local businesses. We now run a full time bakery course accredited by City and Guilds. I would like to once again thank the British Society of Baking for their generous grant and we look forward to building a future working relationship with the Society. NPTC plan to open a “Bakery Innovation Centre” where students can create new products in line with current trends, including Chocolate novelties. The Bakery department works closely with the Hospitality department and the Bakery shop shares an entrance with their coffee shop and restaurant. One area of expansion is to provide innovative afternoon tea fancies so that the Hospitality team can offer a full afternoon tea service. This grant will allow us to enhance the availability of learning and innovation opportunities for the students. The BSB grant of £2000 will help cover the cost of: the refurbishment of the area for the centre; chocolate holding tanks and refrigeration; small equipment such as thermometers, scrapers, moulds, bowls, transfer sheets, tempering machine, small microwave etc. Links with the Hospitality team are well established and the coffee shop has proved to be popular since its refurbishment. The Bakery students last year set up enterprise workshops where they created products to sell to fellow students within the college. The profit from this enterprise was offset against the costs of them attending the ABST conference at the end of the year. This grant will allow us to enhance the availability of learning and innovation opportunities for the students. With numbers at record levels, UCB senior managers decided to invest further in bakery education by providing two new confectionery chocolate training bakeries, one new cake decoration area and a new science technology and innovation suite of rooms to assist the development of bakery education and training. The food innovation facilities will enable the College of Food to enhance the existing food science/technology nutrition and shelf life testing. The Science and Rheology facilities will enable ingredient and product testing to support the new FdSc programme in Bakery and Confectionery. This will include the purchase of an industrial standard NIR (near-infrared reflectance) instrument for ingredient and product testing and analysing. Our course provision will incorporate the use of this equipment into practical assessments using industry sponsored and specified cases, ensuring real-world experience and skills development. The ultimate goals being enhanced student employability and employee productivity through innovation. The BSB grant of £2000, for which we are very grateful, will go towards the cost of the above.